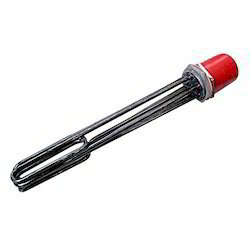 We are engaged in the export and manufacture of Oil Immersion Heater which are design as per customer requirement. Under the supervision of our experts, we provide a unique range of premium quality Oil Immersion Heater. These are available in various sizes and design as per the requirement of our clients. Our range of product consists of cast iron flanges with thermostat pocket and is enclosed with suitable cap. 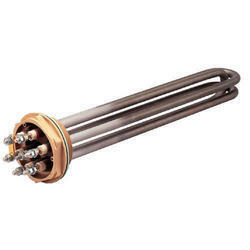 These oil immersion heaters find application for oil circulating for system, oil heating, oil jacketed kettles, supplies hot oil to plastic processes and similar equipments.